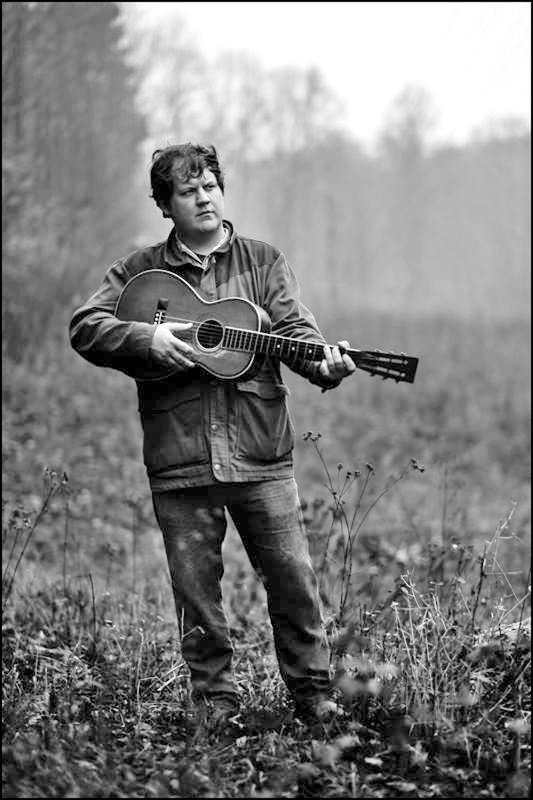 The debut solo album from Jake Xerxes Fussell is out January 27 via the excellent Paradise of Bachelors (Steve Gunn, Hiss Golden Messenger) label out of North Carolina. We received a promo CD in the mail the day before Christmas and it’s been in constant rotation since. Lots of our customers are familiar with Jake and his music. Jake worked at The End of All Music for the first year we were open. He also held a longtime residency at Lamar Lounge as well as the leader of the Thacker Mountain Radio house band The Yalobushwackers. Folks around here know Jake. We’ve heard his songs. Hell, we miss him now that he’s moved to North Carolina. But one thing everyone always hassled Jake about while he was in Oxford was why doesn’t he make a record? Just make a record, Jake! Well he waited and he did it right. Jake’s self-titled record is here. It’s a record full of traditional songs as evidenced in the liner notes’ detailed song histories. Jake knows his songs. He’s a song collector. He’s learned them throughout his growth as a musician and folklorist and very much made them his own. Jake just has a way of making a song his, much like Dylan does. I guess what I mean is when you hear Jake’s renditions of these old songs they sound like they’re his songs, like he wrote them. They’re more than just cover songs. Jake’s adding to the lineage of the song’s life. The production on the record—by our buddy William Tyler—matches Jake’s song sensibilities perfectly and brings the songs out in a way that seems fresh and classic at the same time. Tyler’s production and guitar playing give the songs a haunting ambience—sometimes a soft background drone—but still find the groove at times and back off when Jake’s guitar and voice are all that’s needed. The backing band here is top-notch Nashville A-list. These guys have played on some of the best records to come out of Nashville (Bonnie Prince Billy, Marty Stuart, Silver Jews, Bill Monroe) and they find the pocket perfectly. Jake grew up in South Georgia and Alabama and this record is very much influenced by those places. 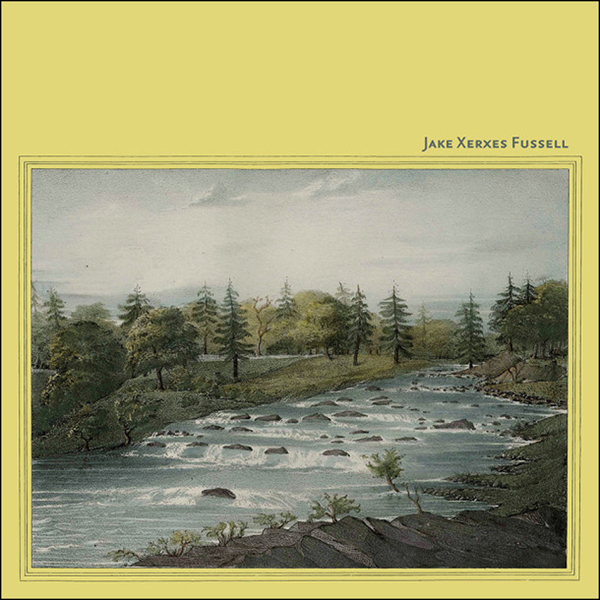 The cover art is from the Columbus Museum in Columbus, Georgia, and features a beautiful painting of a stream surrounded by pines by the artist Francis De LaPorte—the inner sleeve features a circus photograph by Jake’s father, folklorist Fred Fussell. Several of the songs were originally performed by the Georgia Sea Island Singers (check out their record on Mississippi Records or the new Bessie Jones release on Tompkins Square) and blues guitarist Precious Bryant, among many others. Jake owes a lot to his Georgia upbringing. His style is very much of the area and is steeped in the folklore and songs that originated there. But Jake isn’t tied down to that place. He’s a traveler, a rambler. He’s taken these songs, these stories, these influences and used them. He’s become a damn fine musician and storyteller. We’ll always be Jake’s friend but we’re also one of his number one fans and he’s made the record we needed.